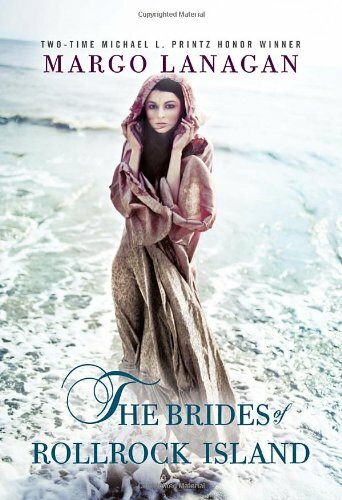 Margo Lanagan's Sea Hearts (published in the UK and US as The Brides of Rollrock Island ) renews the selkie myth by pushing back its borders. Instead of the traditional story, focused on the drama of a man, his seal-wife, and sometimes their children, Lanagan portrays a whole community. This allows Sea Hearts to bring the people outside the family drama into play: the people who fear the power of selkies, the men who don't want selkies for wives, and above all the human women—busy, sharp-tongued and ordinary-looking—who can't compete with mesmerizing creatures of the sea. 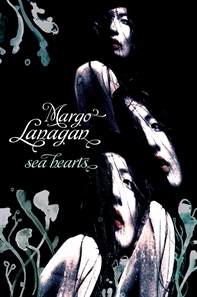 Sea Hearts grew out of Lanagan's World Fantasy Award-winning novella, the hyphenated "Sea-Hearts" (originally published in the anthology X6 ). The novel is made up of seven first person narratives of varying lengths, with six different narrators. Young Daniel Mallett, the only narrator who gets to speak twice, opens the novel with the story of how he and the other boys of Rollrock went gathering sea hearts, and met with the witch Misskaella on the beach. Daniel's second, longer narrative tells of the boys' attempt to set their mothers and themselves free of life on land: with its focus on kin relationships, particularly the love of mothers and sons, this story sticks most closely to traditional selkie material. It also exploits that material to the full, unraveling the threads of suggestion that make the selkie tale so enduring: the image of wives as captives whose docility doesn't prevent them for longing for freedom, and the attraction of the border between human and animal. A watery utopia, then—and one that Lanagan doesn't spend much time on, for utopias are only interesting in comparison with actual, flawed communities. In her characteristic fashion, Lanagan zeroes in on those flaws, showing how even the boys' love for their mothers is tainted by being defined against what is unlovable. "If you had to choose between women like her and our beautiful mams, which would you choose?" one of the boys asks Daniel (p. 230). The "her" in question is the witch, Misskaella: the novel's unlovely, undomesticated, filthy rich, powerful, gloating, and irresistible heroine. Misskaella has made Rollrock what it is. She's the reason the "mams" there are all selkies, the reason Rollrock produces little boys, but no little girls. (The daughters of selkies, in this imagining, are too seal-like to thrive on land; their mothers tuck them in blankets, sew up the edges, and put the babies out to sea.) Misskaella possesses the power to charm seals onto land, and to release the innocent and desirable women inside them. The men pay for her services: Misskaella is running a business, after all. Like most witches, she's capricious and bad-tempered, and the little boys are scared of her. But Misskaella makes Rollrock work. She's the link between the men and the selkies: a brilliant figure for the ugliness that makes beauty possible. But not only did Misskaella make Rollrock—Rollrock made Misskaella. Her story, one of the strongest in the novel, portrays her as a witch from the beginning. As a child, she wonders why people give her strange looks, and why her own mother treats her roughly. This roughness, we learn, is born of anxiety, for Misskaella's family has selkie blood, and her mother sees the evidence of that heritage in her daughter. Misskaella is, in the words of her grandmother, "a bit slanted, a bit mixed" (p. 15); she has fuller lips than the rest of the family, and presses them together "so they would not show so much" (p. 20). Because of her purported ugliness, no one wants to marry her. Lanagan is careful to show that Misskaella's misery does not come from her failure to find a husband, but from an unfulfilled longing for community in a town that shuns her. She is too human to find happiness either with the seals, or alone: "I was not above caring; I was not above longing for relief from this unending shame, from this relentless loneliness" (p. 81). Misskaella's revenge sets the story of Sea Hearts going. The men get more beauty than they bargained for, and misery in proportion. While the history of the Rollrock community unfolds with a grim, fairytale logic, it's not portrayed as inevitable. We know that there were selkies around before Misskaella, and yet the town was never, until her time, made up entirely of men of one species and women of another. This means that healing is possible, and that there can be human women in Rollrock again: women like Nance Winch, who took her young children to the mainland after losing both her husband and her eldest son to selkies, and like Kitty Flaming, likewise abandoned, who had "a straight eye and a good laugh and such energy, she fair whisked you up and carried you along with her" (p. 143). It's hard not to sympathize with Dominic's desire for a simpler life. That desire makes Neme into more than a woman who doesn't talk back. It makes her explicitly anti-modern, the symbol of a world of cold wind, wood-smoke, uncorrupted nature, and—in opposition to the "mainland fuss and frippery"—a pre-capitalist mode of living. The selkies' incompatibility with modernity is underscored by the way Rollrock lags behind the times, lacking the offices and picture shows of the mainland, and by a scene in which the selkies are disturbed by an anthropologist with a camera. This suggests that it would be a mistake to dismiss the selkies outright: they are associated both with the nonhuman world, and with human others captured by the anthropologist's lens. Their takeover of Rollrock can be read as the revenge of "others," both human and animal, suppressed by the modern world; it can also be read as the persistence of those others, and therefore of other ways of living and thinking, which may have transformative possibilities. Of course, you also have to ask: transformative for whom? Not for the selkies, surely; they only wish to get back to their cold sea. The selkies can never become modern, and this is one of the key ways in which they differ from human women. Misskaella carves out a space for herself, a mansion crammed with excess furniture; she's a candidate for Rollrock Island's first capitalist. She also creates a most unconventional family. She brings change. The peculiarly modern nature of this change is most perceptible in its link to suffering. Misskaella, who lived briefly with the seals, knows how painful it is to lose them, and yet she does so in order to live, her only consolation a "bundle of money" (p. 102). Although she links men to selkies, she has no romantic illusions about the seal-wives. 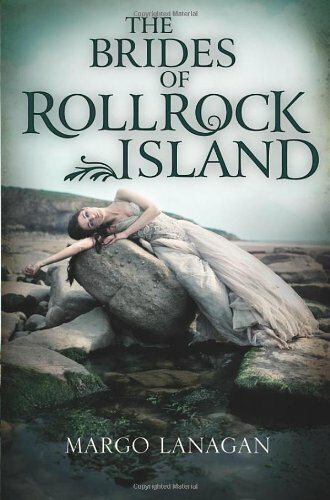 In her practicality, she resembles Kitty Flaming, who wants her fiancé to sell his family home on Rollrock and sever his connections with the selkie world. Kitty is right to suspect that Rollrock may do her harm: for while women have not benefited most from the changes brought by modernity, they do suffer most from their absence. Sea Hearts is like the creature for which it is named, the one gathered by the boys of Rollrock: tender, dangerously spiny, and best eaten raw. I can't praise it any more highly than to say that it's exactly the sort of thing one expects from Margo Lanagan. Sofia Samatar is a PhD student in African Languages and Literature at the University of Wisconsin-Madison, where she specializes in twentieth century Egyptian and Sudanese literatures. Her poetry has appeared in Stone Telling , and her debut novel, A Stranger in Olondria , is forthcoming from Small Beer Press in 2012. She blogs about books and other wonders at sofiasamatar.blogspot.com. Edge of Tomorrow is characterized by a failure to explore, develop, or even think very deeply about any of the ideas it raises. If there is any one thing to praise about Green Planets , it is that it does truly seem to want to create new possibilities at the intersection of ecology and science fiction for future thinkers. MacLeod cooks up any number of false (or not false) trails and any number of possible answers to the questions raised by his story, but ultimately, as the cover blurb says, "Seeing is not believing." Saulter's debut novel mixed a deep focus on community with the machinery of science fiction dystopia, and threw in more than a dash of allegory. Her second novel is in many respects more traditional in its set-up while being just as resolutely focused on a wide range of characters. Science fiction offers us many alternate ways of imagining the human, the boundaries between the human and technology, and the body in the world, and ought therefore to provide a particularly rich source of narratives pertinent to issues of disability.